What Are Some Common Articulation Disorders? Image Courtesy of Gillberg Centre. Speech and language articulation is the process by which a person forms words. This is done with different parts of the mouth, jaw, tongue, lips, palate and teeth. A child is considered to have an articulation disorder is if he or she is unable to produce the right sounds to communicate clearly and effectively. Articulation disorders are generally characterized by substituting one sound for another (wide for ride), omitting a particular sound (ban for band) or distorting a sound (sip for ship). Young children often make speech errors, however if these continue past a certain age, they are considered articulation disorders. Children by the age of 8 should be able to produce all sounds in English correctly. Speech errors are quite common in young children. When learning to speak, all young children mispronounce words. Articulation disorders are often mistaken by adults as baby talk, and at first may be thought to be cute. As kids grow older, their articulation skills develop and their pronunciation generally becomes much more clear. While many children outgrow this baby talk phase, a child’s inability to produce sounds and communicate, indicate a more serious problem. Articulation disorders may be caused by a variety of factors, such as hearing loss, cleft palate, problems with the teeth, or adversity controlling the movements of the mouth. Many children do develop correct speech sounds over time, but those who do not often turn to SLP to help learn the correct speech sounds. Articulation patterns that are attributed to cultural or ethnic backgrounds are not considered disorders. Omissions – This is leaving a sound out. Sounds in words and sentences may be completely omitted. For example, “at” for hat, “oo” for “shoe”. Distortions – Generally the parts are mostly there, but they are a little wrong. A child says a word that sounds like something what it should, but is not quite right. For example, “shlip” instead of “ship”. An attempt is made at the correct sound but it results in a poor production. i.e., a distorted (s) sound may whistle, or the tongue may be thrusting between the teeth causing a lisp. The most common error sounds are (s) (l) and (r). Additions – These are extra sounds or syllables are added to the word. i.e animamal. 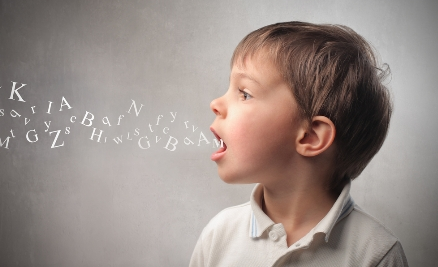 Treatment by a speech-language pathologist is generally suggested for children with articulation disorders. The therapy will differ based on an individual child’s desire, but usually takes the form of practicing sounds. Tools, such as Speech Buddies are also beneficial to help a child feel where to place the tongue and how to form the lips. Repetition of the difficult noise is an integral part of the remedy. If you would like additional recommendations for treatment options, please let us know!